An Austrian court has sided with Russia’s state-backed vodka maker in the battle over the Stolichnaya and Moskovskaya brands, ordering the Dutch-based Spirits International B.V to pay compensation for used the brand's name illegally. Stolichnaya vodka has long been one of the world’s most recognizable brands associated with Russia. However, the iconic trademark is a highly contested one, with state-owned Soyuzplodoimport waging a heated legal dispute with the Dutch company for over 15 years. The Spirits International B.V. owner, exiled Russian tycoon Yuri Shefler, claims that he bought the trademarks, including some of the most well-known Russian vodka brands, from Soyuzplodoimport in 1997 for $285.000. The Russian lawsuit insists that the firm was illegally privatized in the turbulent 1990s, making the purchase null and void. The suit has been fought across 13 European countries, the US and Brazil since 2003, two years after a Russian court ruled the company’s privatization unlawful and restored its ownership over the vodka brands. Soyuzplodoimport announced on Monday that an Austrian appeals court reaffirmed its rights over Stolichnaya and Moskovskaya brands. The ruling concerns only Austria, but the company saying that this judicial breakthrough will allow it to bolster the case for reclaiming its ownership over both brands elsewhere around the world. The court has obliged The Spirits International B.V to make up for the damages it incurred on the Russia-based company by illegally exploiting the trademarks for years. The Dutch-based company has been denied the right to appeal to the Supreme Court, with the ruling effective immediately. In addition to the penalties, the Dutch-based company will have to stop selling vodka under Solichnaya or Moskovskaya brands on the Austrian market, the second biggest in Europe. In January, a Dutch court with jurisdiction that extends to Belgium and Luxembourg upheld an earlier ruling that stripped them of rights to the Stolichnaya, Moskovskaya and Na Zdorovye brands, ordering the company to repay all profits made from them since 1999. 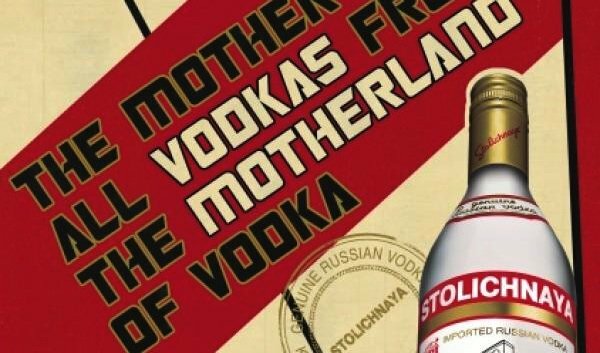 The court also barred the company from using the brand “Stoli,” overruling a 2015 decision that held it was different enough from “Stolichnaya” not to represent trademark infringement.